Big game management is happy to make trophy whitetail hunting affordable and fun. We are located in renowned Shackelford County of North Central Texas. Shackelford has earned its well-established reputation for prolific open-range big buck production; true Boone & Crockett book potential year after year. 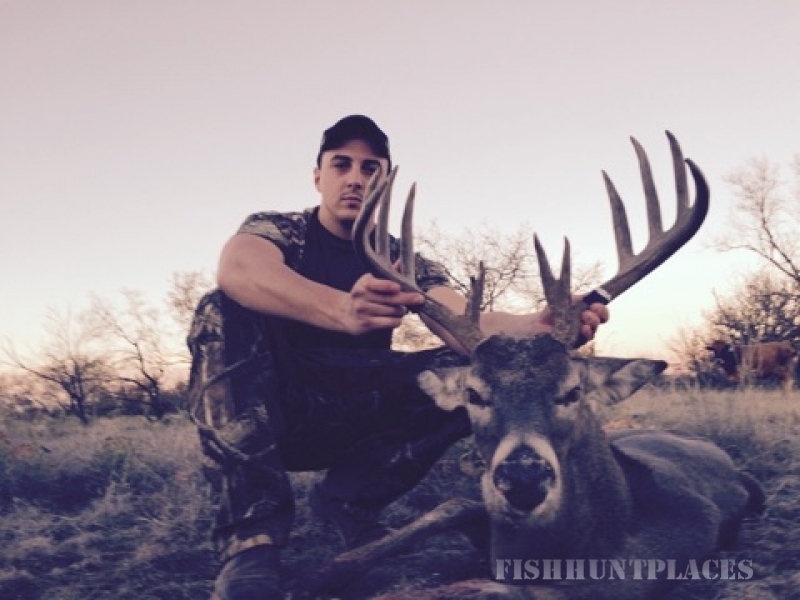 This country, with it's rugged topography dominated by mesquite covered hills, rolling planes, and dipping brushy canyons, has proven to hold some "super bucks", some of the largest whitetails in Texas. Our headquarters is located Albany, Texas, and our properties are located within 20 minutes of town. 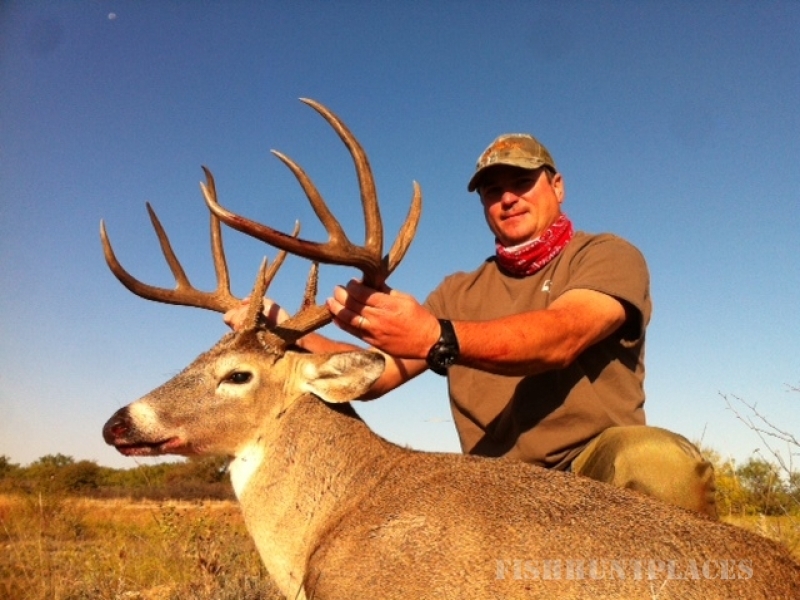 We offer trophy whitetail hunts on several different ranches, totaling more than 10,000 acres. We have a healthy deer population, excellent buck: doe ratio, and a quality buck (8 pts. or better) ratio greater than 60%. 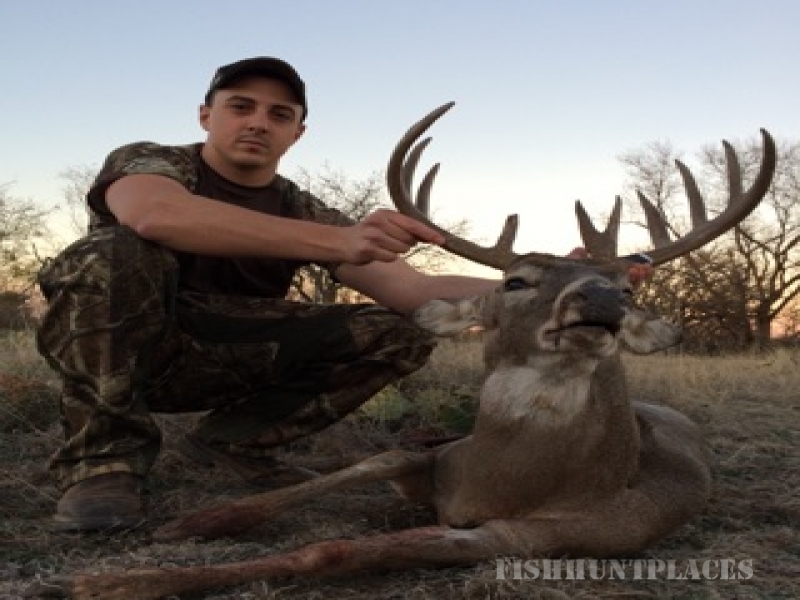 Big game guides each have in excess of 15 years local hunting experience. 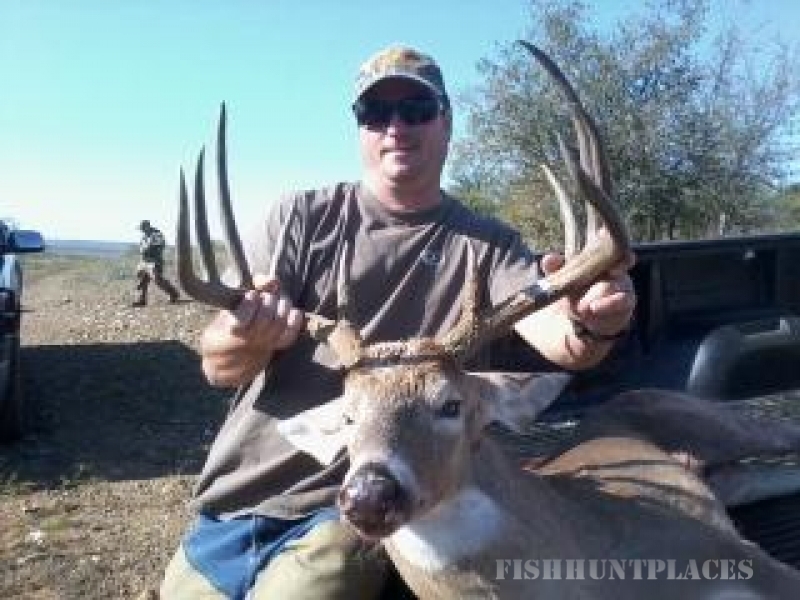 We offer both rifle and bow hunts, where 100% opportunity can be expected on harvesting a 130 class B & C buck or better. Our high success rates can be attributed to minimal hunting pressure, and trophy buck game management practices on most all of the large ranches which dominate our county. On an average 4-day hunt you can expect to see 30-75 bucks (60% 8 pts or better). With our year round and high protein feed programs, and some consistent and /or timely precipitation this year, we should be in for another "rack attack". In the spring of 2010, we have already had over 15" inches of rain which has produced a thriving environment for nutrition for all our game animals. With that in mind we expect to harvest several 150-160 class B & C bucks or even larger, some real "wall hangers" .